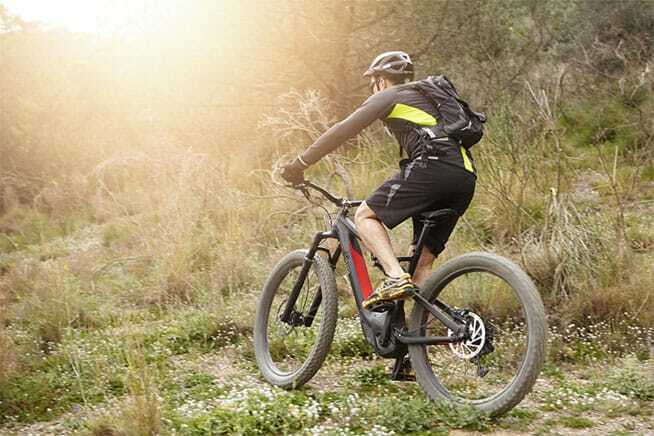 ​You might feel unstoppable on your bike, but unfortunately, you’re not. Don’t forget that the road is shared with other vehicles too—even if you’re being safe, that doesn’t mean that everyone else is, too. That’s why bike safety is so important. Learning about bike safety will take a few minutes of your time. But it’s really worthwhile. Once learned, bike safety rules will stay with you forever. 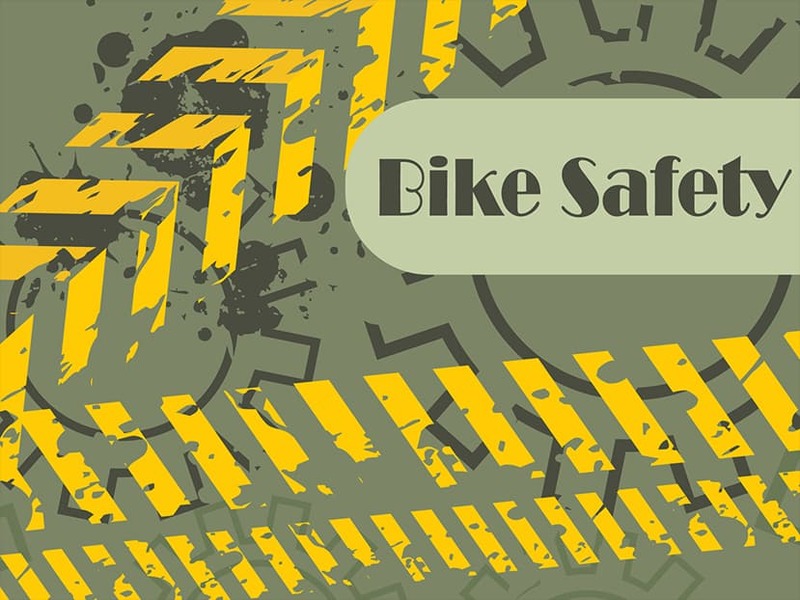 In this comprehensive guide, you’ll learn everything you need to know about bike safety, including clothing, gear, maneuvers, riding skills, road principles, and road safety tips. ​Are you ready to conquer the roads and trails? If yes, it’s time to dig deeper. You might feel unstoppable on your bike, but unfortunately, you’re not. Don’t forget that the road is shared with other vehicles too—even if you’re being safe, that doesn’t mean that everyone else is, too. That’s why bike safety is so important. Learning about bike safety will take a few minutes of your time. But it’s really worthwhile. Once learned, bike safety rules will stay with you forever. Are you ready to conquer the roads and trails? ​Riding a bike is a wonderful outdoor activity – it’s a combination of exercise and fun. However, it also comes with various risks. From minor crashes with bruises and scrapes to serious accidents resulting in head injuries, broken bones, and even fatalities, cycling can have serious consequences if you’re not prepared. Among bicycle injuries, head injuries are the most serious ones – the number one cause of death. Various head injuries may also cause permanent damage to the brain. ​Each year, over 500,000 bicyclists in the U.S. are injured due to bike crashes. Around 700 of them die, but 75% of them could have lived if they had worn a helmet, according to Northwestern Medicine. Each year, over 500,000 bicyclists in the U.S. are injured due to bike crashes. Around 700 of them die, but 75% of them could have lived if they had worn a helmet, according to Northwestern Medicine. ​In 2010, 515,000 injuries were caused by bicycle incidents that required immediate care, according to The Centers for Disease Control and Prevention. In 2010, 515,000 injuries were caused by bicycle incidents that required immediate care, according to The Centers for Disease Control and Prevention. ​In 2015, over 1,000 bicyclists lost their lives in the U.S. In the same year, 467,000 injuries were reported, according to The Centers for Disease Control and Prevention..
​88% of bicyclists who died because of a crash were 20 years old or older, according to research collected by the Insurance Institute for Highway Safety – Highway Loss Data Institute. 88% of bicyclists who died because of a crash were 20 years old or older, according to research collected by the Insurance Institute for Highway Safety – Highway Loss Data Institute. ​The majority of bicyclists injured in 2014 were between the ages of twenty and twenty-four years, according to the National Highway Traffic Safety Administration. The majority of bicyclists injured in 2014 were between the ages of twenty and twenty-four years, according to the National Highway Traffic Safety Administration. ​These statistics prove that you need to wear a helmet. 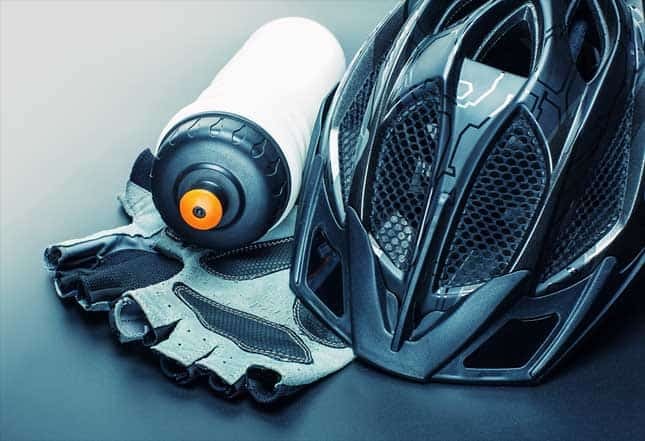 Though a helmet may help you prevent brain injuries, you must consider wearing other items of protective gear to ensure bike safety in terms of protecting the entire body whether you are riding bike for commuting or general purpose. Helmet – when you fall off your bike, your head could be the first part of your body to touch the road. If you’re wearing a helmet, it will act as a shield for your head and reduce the chances of brain injury. Gloves – we instinctively use our hands to help ourselves in case we experience a sudden fall. In case of a fall, you’ll unconsciously use your hands to cushion the crash. In this scenario, if you aren’t wearing bike gloves, you’ll probably injure your hands as they scrape against the road. Clothing – protective jackets, trousers, and shoes will help protect you from scrapes and bruises. ​Bike safety isn’t limited to wearing the right clothing. If you know the rules of the road, you can save yourself from a major crash. Likewise, if you’re involved in an accident, having prior knowledge about the immediate action to take can help you save your life. Riding a bike is a wonderful outdoor activity – it’s a combination of exercise and fun. However, it also comes with various risks. From minor crashes with bruises and scrapes to serious accidents resulting in head injuries, broken bones, and even fatalities, cycling can have serious consequences if you’re not prepared. ​Nobody wants to be in another accident shortly after crashing their bike. That’s why it’s crucial to check if your bike is functional enough to ride. In this section, you’ll learn how to check the functionality of your bike after a crash so you can ride safely. ​The recommended PSI of each tire is written on its sidewall. To decrease any chance of puncture, ensure your tire has air within the specified psi. If you see signs of wear and tear on the sidewalls of a tire as well as some worn patches in its tread, it’s time to replace it with a new one. The recommended PSI of each tire is written on its sidewall. To decrease any chance of puncture, ensure your tire has air within the specified psi. ​Check that the rear and front brakes work properly. If the lever of the brake is pulling against your handlebar grip, it means that the brake cable should be adjusted. To adjust the brake cable, loosen its anchor bolt, pull the brake cable tighter, and then tighten the anchor bolt once more. When you apply the brake, both sides of your brake mechanism should move. If this doesn’t happen, you can turn the adjuster screw on its stationary side till both sides begin to move again. ​The block of the brake must be able to pull flat with your wheel rim. If this isn’t the case, you must tighten the brake block to bring it to its correct position. Do this with an allen key. Once this is done, check if the brake pads are positioned correctly. Make sure they’re hitting the rims only. In case they’re rubbing through the tires as you apply the brake, this can damage the sidewalls of the tires and may even result in riskier riding. Check that the rear and front brakes work properly. If the lever of the brake is pulling against your handlebar grip, it means that the brake cable should be adjusted. To adjust the brake cable, loosen its anchor bolt, pull the brake cable tighter, and then tighten the anchor bolt once more. When you apply the brake, both sides of your brake mechanism should move. If this doesn’t happen, you can turn the adjuster screw on its stationary side till both sides begin to move again. The block of the brake must be able to pull flat with your wheel rim. If this isn’t the case, you must tighten the brake block to bring it to its correct position. Do this with an allen key. Once this is done, check if the brake pads are positioned correctly. Make sure they’re hitting the rims only. In case they’re rubbing through the tires as you apply the brake, this can damage the sidewalls of the tires and may even result in riskier riding. ​Check the cranks by pulling them away from your bike. If they’re loose, the bolt needs to be tightened. To ensure your bike runs smoothly, the chain should be free from dust. It should also be lubricated. However, DO NOT use more than the recommended quantity of oil as this may absorb more dirt - making it more difficult to clean the chain. If it begins to squeak as you pedal, it means that it’s time to clean and lubricate it before having a ride. Check the cranks by pulling them away from your bike. If they’re loose, the bolt needs to be tightened. To ensure your bike runs smoothly, the chain should be free from dust. It should also be lubricated. However, DO NOT use more than the recommended quantity of oil as this may absorb more dirt - making it more difficult to clean the chain. If it begins to squeak as you pedal, it means that it’s time to clean and lubricate it before having a ride. ​These are the levers that hold the wheels of your bike. If they’re loose, the wheels may wobble or come loose, causing a crash. Make it a habit to open and close the quick release levers every time you head out to ride the bike. Make sure the levers start to feel tight around halfway through the closing action. These are the levers that hold the wheels of your bike. If they’re loose, the wheels may wobble or come loose, causing a crash. Make it a habit to open and close the quick release levers every time you head out to ride the bike. Make sure the levers start to feel tight around halfway through the closing action. ​Your headset enables rotation between the head tube and the fork. It should always be tight. To check if it’s tight, apply pressure to your front brake and rock the handlebars from back to front. If there is movement while the bike is still in its stationary position, it means that your headset bolt needs adjustment. Your headset enables rotation between the head tube and the fork. It should always be tight. To check if it’s tight, apply pressure to your front brake and rock the handlebars from back to front. If there is movement while the bike is still in its stationary position, it means that your headset bolt needs adjustment. ​Check if the bolts of the handlebar clamp are tight. To do this, stand in front of your bike, hold its front wheel between the knees, and twist the handlebars. If you see movement, you need to tighten the handlebar clamp and stem bolts by using an allen key. Check if the bolts of the handlebar clamp are tight. To do this, stand in front of your bike, hold its front wheel between the knees, and twist the handlebars. If you see movement, you need to tighten the handlebar clamp and stem bolts by using an allen key. ​Love to ride in late evening or early morning? If yes, give your bike lights the highest priority. Before each ride, check if the lights are fully charged. If they’re showing dimmer light, it’s time to recharge them or replace the batteries. Love to ride in late evening or early morning? If yes, give your bike lights the highest priority. Before each ride, check if the lights are fully charged. If they’re showing dimmer light, it’s time to recharge them or replace the batteries. ​The seat post shouldn’t be loose. If it’s loose, tighten your seat post clamp with an allen key. Give it another check to ensure the seat is tightened correctly. The seat post shouldn’t be loose. If it’s loose, tighten your seat post clamp with an allen key. Give it another check to ensure the seat is tightened correctly. Nobody wants to be in another accident shortly after crashing their bike. That’s why it’s crucial to check if your bike is functional enough to ride. ​Most people don’t imagine driving a car without seat belts. So, why should you hop on your bike without choosing the perfect attire? ​To ensure maximum safety, you need to protect your body from head to toe. This section has it all. Read on! Between 1996 and 2005, 225 bicyclists died in a bike crash. 97% of them were not wearing a helmet, according to a survey conducted by the New York City Departments of Health and Mental Hygiene. The significance of wearing a helmet cannot be emphasized enough. prefer the helmet with more vents. This will keep you cooler. once fastened, the strap’s chin area and the buckle should fit well beneath the chin. However, the retention system shouldn’t be so tight that you’re unable to drink water or eat an energy bar while riding. This helps in absorbing sweat. Prefer the helmet with removable padding so you can also wash it often. choose a helmet that fits your head. To get the perfect size, wrap a tape measure around your head (place the tape measure about 1 inch above the eyebrows). Now measure its length with a yardstick or a ruler. Now that you’ve got the measurement of your head, you can buy the helmet with the right size. once fastened, the strap’s chin area and the buckle should fit well beneath the chin. However, the retention system shouldn’t be so tight that you’re unable to drink water or eat an energy bar while riding. Between 1996 and 2005, 225 bicyclists died in a bike crash. 97% of them were not wearing a helmet, according to a survey conducted by the New York City Departments of Health and Mental Hygiene. The significance of wearing a helmet cannot be emphasized enough. Most people don’t imagine driving a car without seat belts. So, why should you hop on your bike without choosing the perfect attire? To ensure maximum safety, you need to protect your body from head to toe. This section has it all. Read on! choose a helmet that fits your head. To get the perfect size, wrap a tape measure around your head (place the tape measure about 1 inch above the eyebrows). Now measure its length with a yardstick or a ruler. Now that you’ve got the measurement of your head, you can buy the helmet with the right size. Gloves are great for safety and grip. Even during summers, don't ditch this important accessory. Pick gloves with cut-finger style. Some of these have padded leather (or synthetic material) in the palm to keep your hands comfortable. The fabric absorbs moisture to keep your hands from sweating. For cold weather, get fully covered, breathable, wicking bike gloves to protect your hands from freezing. If it's too chilly outside, don't hesitate in covering your hands with a thin liner before putting on your gloves. Gloves are great for safety and grip. Even during summers, don't ditch this important accessory. Pick gloves with cut-finger style. Some of these have padded leather (or synthetic material) in the palm to keep your hands comfortable. The fabric absorbs moisture to keep your hands from sweating. Sunglasses protect you from wind hitting directly on your eyes, insects, overhanging branches, and road grit. ​Lens: Choose the lens carefully as different tints may offer a different set of benefits. For instance, photochromic lenses protect your eyes against UV lights and distortion-free lenses keep vision as clear as possible. Lens: Choose the lens carefully as different tints may offer a different set of benefits. For instance, photochromic lenses protect your eyes against UV lights and distortion-free lenses keep vision as clear as possible. ​Frame: Pick sunglasses with good lens retention. Sports glasses are usually made of this heavy-duty polymer material, which doesn’t only keep the frames from breaking but also keeps them lightweight. Frame: Pick sunglasses with good lens retention. Sports glasses are usually made of this heavy-duty polymer material, which doesn’t only keep the frames from breaking but also keeps them lightweight. ​Arms: Regardless of the type of arms you choose, they should perfectly grip the head without pinching. Rubber pads are a great option as they come with ventilation ports that keep the grip without compromising on comfort. Arms: Regardless of the type of arms you choose, they should perfectly grip the head without pinching. Rubber pads are a great option as they come with ventilation ports that keep the grip without compromising on comfort. ​Nose Bridge: You can pick a nose bridge with a pair of pads or just a single band. Pay attention to its adjustability. It will keep your glasses from slipping down when you start sweating. Nose Bridge: You can pick a nose bridge with a pair of pads or just a single band. Pay attention to its adjustability. It will keep your glasses from slipping down when you start sweating. ​​Riding in the middle of the road or on the sidewalk is unsafe. Ride in the same direction as traffic while staying on the right side of the road. Make sure that you don’t ride on such an extreme right side of the road that you unexpectedly hit the curb. Also, you’ll come across situations in which you’re unable to ride on the far right because because you need to avoid a hazard. 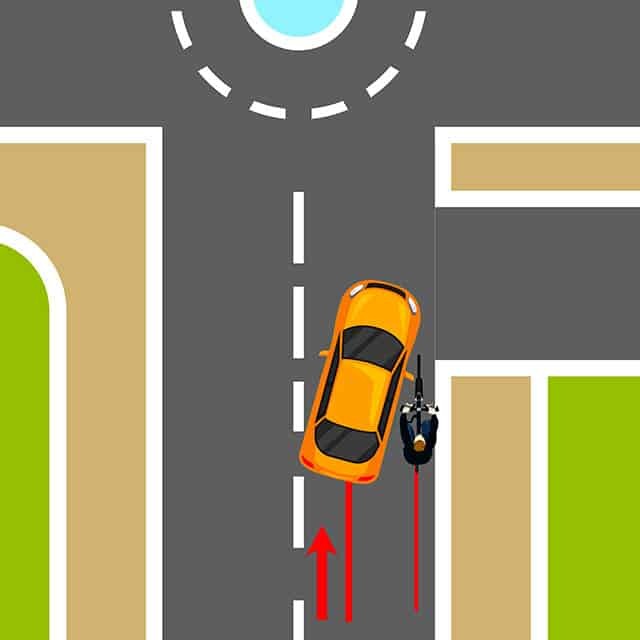 In such a scenario, wait for a safe opportunity and use hand signals while taking a lane. Sometimes you’ll notice that the road you’re riding on is too narrow to accommodate a car and a bike. This is when you should take the lane and join traffic. However, this could be extremely dangerous if you fail to follow some specific rules. 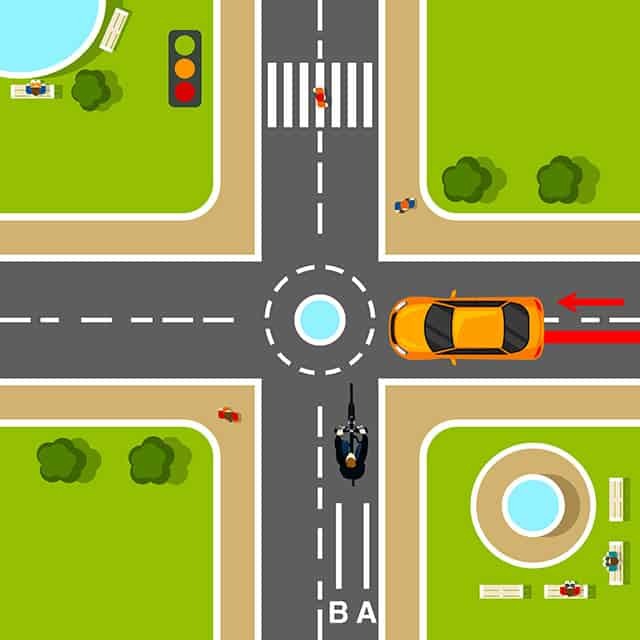 ​Join other vehicles BEFORE an intersection. This way you can show them your presence – especially to those drivers who are going to turn right; they may not notice you while starting their turn. Join other vehicles BEFORE an intersection. This way you can show them your presence – especially to those drivers who are going to turn right; they may not notice you while starting their turn. ​Have the same level of speed as that of the other vehicles (when possible). Have the same level of speed as that of the other vehicles (when possible). Riding in the middle of the road or on the sidewalk is unsafe. Ride in the same direction as traffic hile staying on the right side of the road. Make sure that you don’t ride on such an extreme right side of the road that you unexpectedly hit the curb. Also, you’ll come across situations in which you’re unable to ride on the far right because because you need to avoid a hazard. 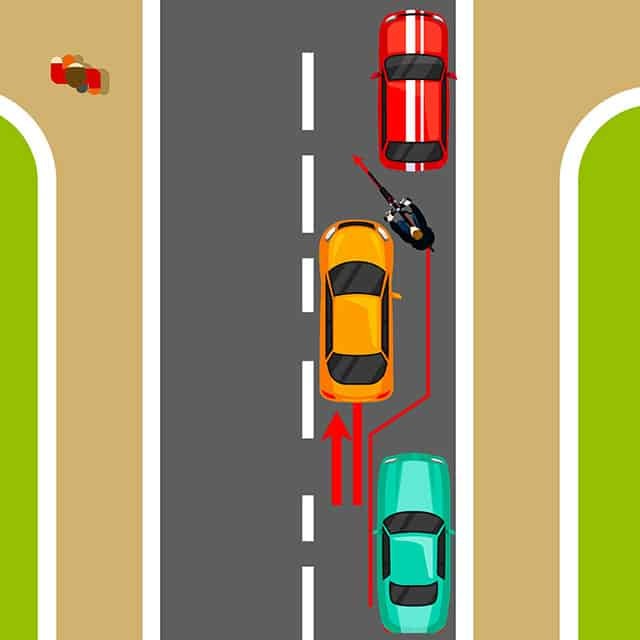 In such a scenario, wait for a safe opportunity and use hand signals while taking a lane. For example, when you’re riding at an intersection, never enter the crosswalk and then reappear on the road all of a sudden. If you re-emerge into a busy road, car drivers might not notice you. Ride predictably and consistently. For example, when you’re riding at an intersection, never enter the crosswalk and then reappear on the road all of a sudden. If you re-emerge into a busy road, car drivers might not notice you. ​When you’re about to reach a new, larger road, yield to the traffic that is crossing by you. Likewise, when you move from the side or want to change lanes, yield to traffic. When you’re about to reach a new, larger road, yield to the traffic that is crossing by you. ​When you’re about to cross an intersection, keep in mind your destination. For instance, if you aim for the right turn, stay focused on this direction and keep riding on the right. If you aim for the left turn, stay on the left. Similarly, if you want to take the straight route, ride between these positions. When you’re about to cross an intersection, keep in mind your destination. For instance, if you aim for the right turn, stay focused on this direction and keep riding on the right. If you aim for the left turn, stay on the left. Similarly, if you want to take the straight route, ride between these positions. ​While you’re riding between intersections, adjust your speed according to the traffic. ​Riding a bike at night is different than riding at daylight hours. Even if you’re heading to a familiar road, you must ensure your reflectors and lights are functioning well. ​Add a white light on your bike’s front. Required by law, this light will help you see the road from afar so you can avoid any hazard as soon as you identify it. At 15 mph, a front light enables you to see the road from 35 to 50 feet ahead of you. Add a white light on your bike’s front. Required by law, this light will help you see the road from afar so you can avoid any hazard as soon as you identify it. At 15 mph, a front light enables you to see the road from 35 to 50 feet ahead of you. ​Other drivers may hardly see your bike at night. To avoid getting hit by them, wear reflective leg bands or a vest while biking. Also, add additional flashing lights and pedal reflectors to the bike so you can be identified in the darkness. Other drivers may hardly see your bike at night. To avoid getting hit by them, wear reflective leg bands or a vest while biking. Also, add additional flashing lights and pedal reflectors to the bike so you can be identified in the darkness. ​The exertion caused from riding a bike in winters will keep you warm and active. You’ll love to explore new roads in this chilly weather. However, with fun also comes some serious work – preparing yourself for the winter ride. ​The heat released from traffic clears the roads that were covered with ice and snow. Such roads are said to be ideal paths for car drivers. However, the sides of the roads will stay covered with snow – this is something to be aware of, because you’ll be the one riding your bike on those sides of the roads. The solution is to find the roads on which there is sufficient traffic to clear the ice and snow. But the traffic shouldn’t be so heavy that you’re unable to ride your bike comfortably on the same roads. Choose your routes wisely. The heat released from traffic clears the roads that were covered with ice and snow. Such roads are said to be ideal paths for car drivers. However, the sides of the roads will stay covered with snow – this is something to be aware of, because you’ll be the one riding your bike on those sides of the roads. The solution is to find the roads on which there is sufficient traffic to clear the ice and snow. But the traffic shouldn’t be so heavy that you’re unable to ride your bike comfortably on the same roads. Choose your routes wisely. ​While riding on snowy roads, your bike will need better traction. To make this possible, use less air in the tires. If you’re riding in winter for the first time, it’s recommended to talk to an experienced winter rider before your first ride. While riding on snowy roads, your bike will need better traction. To make this possible, use less air in the tires. If you’re riding in winter for the first time, it’s recommended to talk to an experienced winter rider before your first ride. ​On icy roads, maintain a slower speed. If your front wheel starts to skid, stay calm; you almost certainly won’t go down if you stay loose and let the bike grab the road after the slip. On icy roads, maintain a slower speed. If your front wheel starts to skid, stay calm; you almost certainly won’t go down if you stay loose and let the bike grab the road after the slip. ​Always apply the brake lightly. Also, remember that you will take more time to stop. If you’re not familiar with winter riding, practice braking lightly and far in advance of your stop. Take some time and try applying a brake lightly on slight hills. You’ll get an idea about the level of pressure you should use to slow yourself without locking your wheels up. Always apply the brake lightly. Also, remember that you will take more time to stop. If you’re not familiar with winter riding, practice braking lightly and far in advance of your stop. Take some time and try applying a brake lightly on slight hills. You’ll get an idea about the level of pressure you should use to slow yourself without locking your wheels up. ​If the weather suddenly turns wet, cope with it like a pro. When it rains, slowing down may take longer. Slowly apply the brake even before you normally do in a dry weather. By acting proactively, you can get ample time to slow and stop while also avoiding slipping on the wet road. If the weather suddenly turns wet, cope with it like a pro. When it rains, slowing down may take longer. Slowly apply the brake even before you normally do in a dry weather. By acting proactively, you can get ample time to slow and stop while also avoiding slipping on the wet road. ​Maintain a 12-inch distance from your own shoulder to your friend’s shoulder who is riding next to you. Maintain a 12-inch distance from your own shoulder to your friend’s shoulder who is riding next to you. ​Only shout about any major bumps or hazards on the road when it’s extremely necessary. If you shout out to fellow riders about the minor obstacles, they’ll get used to it and might not bother to pay attention. The best bet is to let the rider at the front to be responsible for informing other riders about any upcoming hazards. Only shout about any major bumps or hazards on the road when it’s extremely necessary. If you shout out to fellow riders about the minor obstacles, they’ll get used to it and might not bother to pay attention. The best bet is to let the rider at the front to be responsible for informing other riders about any upcoming hazards. ​Answering a phone call or listening to music on a bike is dangerous. Don’t let distractions take away your focus from the road. Ensure your phone is in silent mode. Even if the call is important, you always have the option to call back later. Answering a phone call or listening to music on a bike is dangerous. Don’t let distractions take away your focus from the road. Ensure your phone is in silent mode. Even if the call is important, you always have the option to call back later. ​Blind spots are areas on the roads large vehicle drivers are unable to see even from the rear view mirror. The windows, headrests, and windscreen frames of large vehicles (such as trucks and vans) are designed in a way that limits drivers’ ability view others (including bike riders) who are sharing the same road. ​As a bike rider, it’s up to you to be aware and stay out of driver’s blind spots. ​Assume that truck and other vehicle drivers haven’t noticed your presence. This is especially true if you’re riding on the right and want to overtake a truck. Assume that truck and other vehicle drivers haven’t noticed your presence. This is especially true if you’re riding on the right and want to overtake a truck. ​If you’re riding on the left alongside a truck, this is highly risky because your bike cannot be seen by the truck driver even from the side mirrors. In this situation, stay away from the truck as much as you can or escape onto a footpath. If you’re riding on the left alongside a truck, this is highly risky because your bike cannot be seen by the truck driver even from the side mirrors. In this situation, stay away from the truck as much as you can or escape onto a footpath. ​After several months of riding on the roads, you may feel like a pro! However, keep in mind that emergencies happen without forewarning. Stay proactive by never letting your hand go away from the handlebar. After several months of riding on the roads, you may feel like a pro! However, keep in mind that emergencies happen without forewarning. Stay proactive by never letting your hand go away from the handlebar. ​Signaling a turn or a stop enables you to communicate with other vehicle drivers about your directions. ​To signal a right turn, stretch your right arm towards the right direction. To signal a right turn, stretch your right arm towards the right direction. 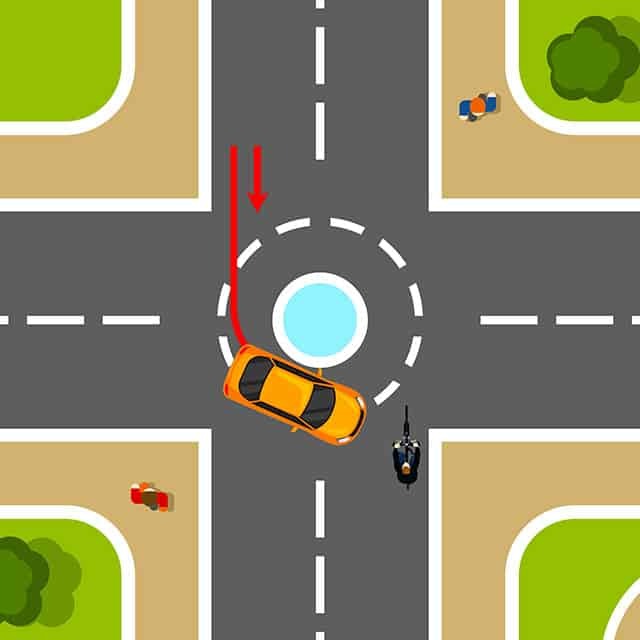 ​To signal a left turn, stretch your left arm towards the left direction. To signal a left turn, stretch your left arm towards the left direction. ​While signaling a stop, lower your left arm (with the palm open and facing back) in a way that it’s visible to the traffic behind you. While signaling a stop, lower your left arm (with the palm open and facing back) in a way that it’s visible to the traffic behind you. ​If vehicle drivers are able to see you, you’re less likely to be hit. Be visible by wearing bright clothes. While biking in darker hours, use front and rear lights so you can be visible from every direction. If vehicle drivers are able to see you, you’re less likely to be hit. Be visible by wearing bright clothes. While biking in darker hours, use front and rear lights so you can be visible from every direction. ​You checked your wheels and brakes before heading towards your destination. But what if the bike starts acting up in the middle of a quiet road? Combat with this unexpected situation by fixing the flat tire or a broken chain on the spot. All this requires is carrying essentials such as a patch kit, a spare tube, a bike pump, tire levers, and a multi-tool. You checked your wheels and brakes before heading towards your destination. But what if the bike starts acting up in the middle of a quiet road? Combat with this unexpected situation by fixing the flat tire or a broken chain on the spot. All this requires is carrying essentials such as a patch kit, a spare tube, a bike pump, tire levers, and a multi-tool. ​Most bikes have a number of gears. This helps you pedal consistently in all situations – whether you’re approaching uphill or aim to move to a straight road. ​Front gears are located near the right pedal. Use these to make bigger shifts, for instance, while approaching a hill (where you’ll want to shift down). Front gears are located near the right pedal. Use these to make bigger shifts, for instance, while approaching a hill (where you’ll want to shift down). ​Back gears are located near your rear wheel. Use these when the terrain requires smaller changes in resistance. Back gears are located near your rear wheel. Use these when the terrain requires smaller changes in resistance. ​If you’re new to shifting gears, it’s wise to get familiarized with the gears beforehand. Head to an open road (without any vehicles to distract you). Practice shifting the front as well as the back gears. Get better at shifting gears by repeating the action several times. ​You might think that the handlebars perform the steering of your bike. However, it’s actually your body that does the steering! To avoid clumsy and casual turns, it’s essential to learn how to use your body movements to do the steering. Instead of just moving the handlebars, slightly steer your front wheel by leaning just a bit. If done successfully, you’ll notice that the turn is smoother and tighter. ​Learning single-handed riding will help you become an ace rider. Once you’ve successfully built confidence to ride with only one hand, you can easily use your other hand to grab a water bottle, eat a healthy snack, and signal while you’re on the road. 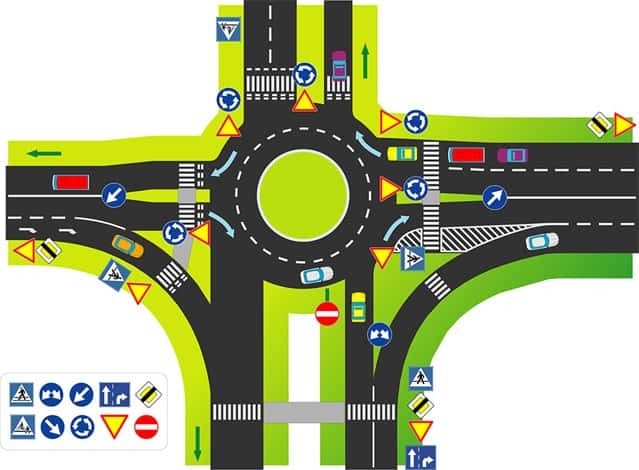 ​If you’re about to approach a roundabout or reach a corner, use the back brake. This will reduce your speed. After this, you can use the front brake when you want to stop immediately. Before using the brake, remember that the back brake is for lowering the speed and the front brake is for stopping immediately. If you see a clear junction, do not use your front brake. Just using the back brake will do the trick. However, if you see yourself in a tighter traffic where you need to stop the bike as soon as you can, use the front brake. ​You’re following the traffic laws. For instance, you’re riding on the right. But what if you fail to see a car that’s already on the extreme right? What will you do if the driver opens the door on the left (without seeing you) and unintentionally hits you? That’s when you should go beyond following the traffic laws: it’s time to go an extra mile and prepare yourself not to get hit at all. ​You’re going on a straight road. At the same time, a car comes from the parking lot, driveway, or the side street on the right and hits you. ​Install a headlight: At night, make sure your bike has a front light. In daytime riding, vehicles may right-cross you if they don’t see you. That’s why you should add a flashing, bright, white LED headlight to your bike so you can be clearly visible. ​Headlamps (mounted on the helmet) are great; when you look at the vehicle driver, you’ll be sure that they see you. Slow down: If the driver fails to see you and picks up speed, concentrate on your own speed. You should either slow down or immediately stop. Move to the left: If a car is coming from the intersection and is more likely to right-cross you, it’s advisable to move to the left. This way, the driver will be able to see you and may stop. While moving to the left, also stay alert about where the flow of rest of the traffic is coming from and act accordingly. ​If the driver of a parked car suddenly opens the door (without knowing a bike is coming from behind) and your bike unexpectedly hits the door. If the car is parked and the car driver opens the door, he has probably done this because he didn’t see you. The best bet is to ride proactively. Instead of riding too close to the car lane, ride a bit to the left so you’re confident that the car door will not hit you as it opens. ​You’re crossing the street or riding on a sidewalk. Suddenly, a car appears making a right turn. This mostly happens because drivers don’t expect bikes crossing the road. Secondly, since they’re focusing on turning the vehicle from the first street to the next street, they’ll hardly notice your bike – therefore, you have higher chances to get hit. ​Riding a bike on the sidewalk can be twice as dangerous as riding on the road, according to a study. Besides using a front headlight and slowing down, eliminate the habit of crossing the road between sidewalks. Doing this while riding on the left may lead you to get hit. Likewise, riding on the sidewalk on the right will get you hit by the car that’s behind you and is taking a right turn. If, for any reason (e.g. in case of an emergency), crossing a road on the sidewalk is the only option left, check all directions of traffic (even the vehicles that are behind you) and ride slowly. 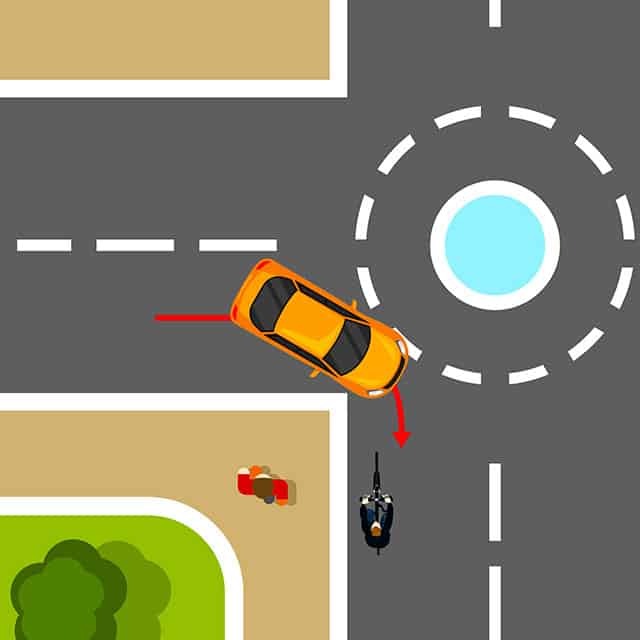 ​This type of collision occurs when you’re riding either against the flow of traffic or on the left side of the road. As you ride, a car appears from the side street and naturally turns right and hits you. The car driver didn’t see your bike because he wasn’t expecting you as you were heading from the wrong way of traffic. In another scenario, choosing the wrong way may make you a victim of the cars coming to you from the straight road. This may happen because these car drivers had chosen high speed while driving on a straight road. Again, they were also not expecting you because your bike is moving towards them – and that too is unexpected. Instead of riding against traffic, ride with the flow – i.e. within the same direction as other vehicles are moving. As you see the red signal light, you stop. Another car is also waiting besides your bike. The car driver can’t see you because you’re at the blind spot. Otherwise you’ll end up having the same collision (this time around, the second car would hit you if you’re behind the first car but still on the right side of the second car). As the red light gets green, you naturally move forward. At the same time, the car driver turns right and directly hits you. This collision mostly happens when it’s a bus or any other large vehicle. Instead of stopping beside the vehicle, stop behind it. This way, the car driver will be able to see you and will not hit you. ​However, also ensure that the second car (the car behind the first one) is also able to see you. 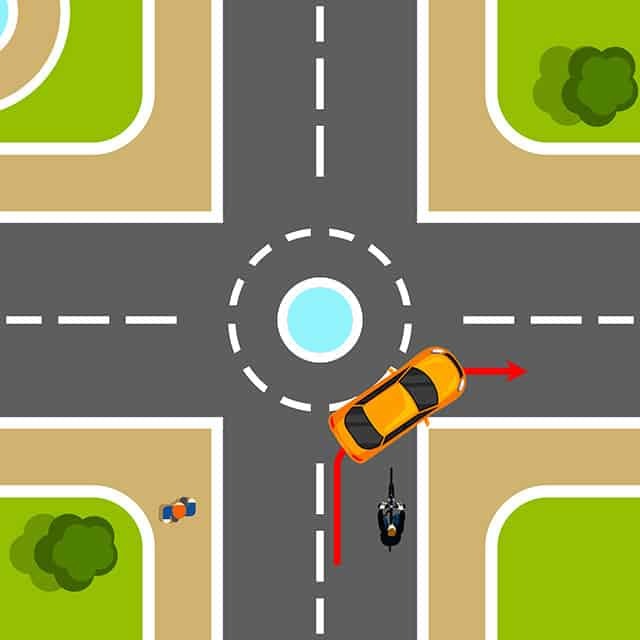 ​A car overtakes you and then turns right in front of your bike. As you’re also riding in the same direction, the car immediately hits you. This collision may happen because the car driver may assume that you aren’t riding too fast and he thinks that he would go ahead of you safely. It’s harder to avoid this collision because you see the car coming in front of you in a second and there is no way to respond to this situation right at the moment. Ride in the lane: When you’re about to go through the intersection, ride to the left so you can take the entire lane. This is important to stay safe from the car that will turn right and in front of you. 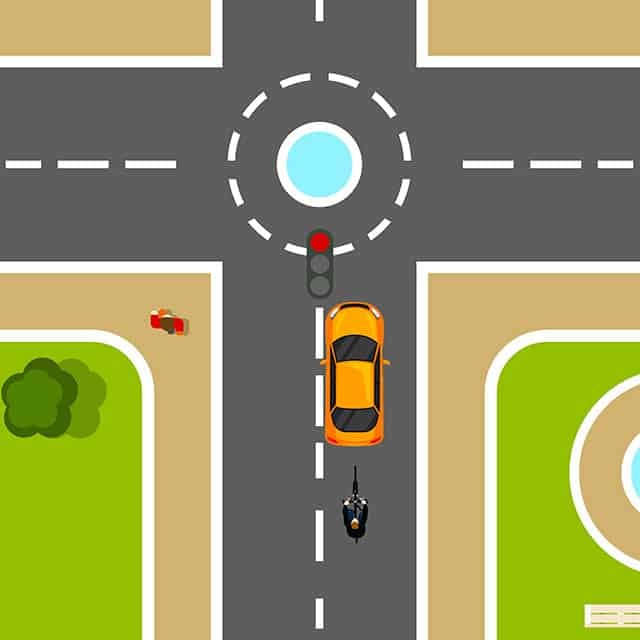 ​Glance in the handlebar mirror before considering an intersection: Don’t have one? Get it now. Look into your mirror before heading towards an intersection. ​Once done, pay attention to the road ahead of you. Is any car taking a right turn and might come in front of you? ​There is a slow-moving vehicle besides you. You’re naturally passing this vehicle, but suddenly, the same vehicle turns right to the side street and hits you. If the vehicle is a bit ahead of your bike and is too slow, you should slow down as well. Instead of passing on its right side, pass on the left after observing that it’s safe enough to take this step. 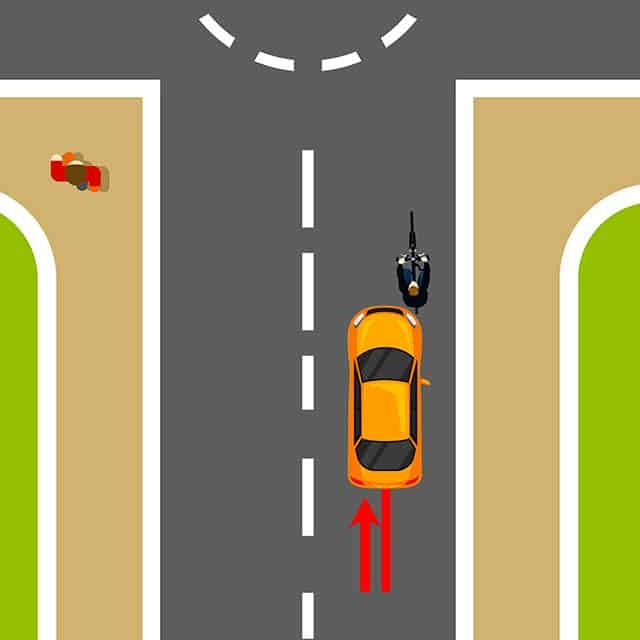 ​A vehicle coming towards your bike turns left and hits you as the driver did not see you. ​Don’t choose the sidewalk: When you want to cross a street and you ride on the sidewalk, you’re actually invisible to the vehicles who are in front of you. Therefore, avoid riding on the sidewalk. Slow down: if making eye contact with the driver seems impossible, slow down till you completely stop. Though this is inconvenient, it may save you from getting hit. 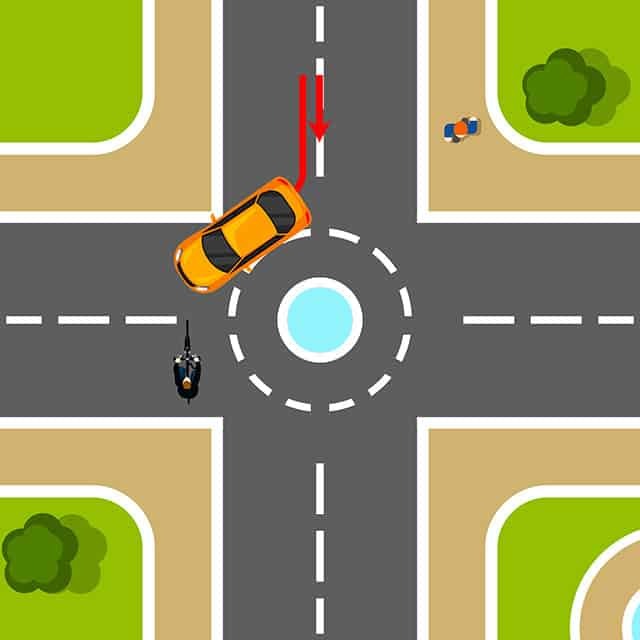 ​To avoid any road obstruction, you moved your bike a bit to the left but you get hit by the vehicle coming from behind. Never move left unless you’ve checked the car behind you: Practice riding in a straight line. If you want to know if a car is behind you without turning back, use your handlebar mirror. Always signal before moving left: Inform the car drivers behind you that you’re moving to the left. Do this by stretching your left arm straight. While doing so, check again to see if there is a car coming from behind. ​A car hits your bike from behind. Always use the rear light: this is mostly applicable for nighttime riding. Wear reflective gear: be visible to the car drivers behind you – even at daytime. Ride on wide streets: a wide street can easily accommodate a bike and a car at the same time. Choosing such streets will minimize the chances of getting hit. Choose back streets: ride on neighborhood streets and stay safe. ​If hit by a car, truck, or any other vehicle, the accident could be a bad one and the only thing that can save you is an instant response. ​The following are six important steps to take if your bike gets into an accident. ​Sometimes, it could take up to several days to realize your injuries after a crash. The sudden adrenaline could numb your senses at that time. Assuming there are no injuries can get you into trouble later and can complicate your settlement negotiations. If you’re questioned about your injuries, just mention you need to see a doctor. You may not feel the pain or any symptoms at that time, but getting yourself checked by a doctor will assure you. Sometimes, it could take up to several days to realize your injuries after a crash. The sudden adrenaline could numb your senses at that time. Assuming there are no injuries can get you into trouble later and can complicate your settlement negotiations. ​The police will come if the accident is major. For minor ones, make sure you involve police. Getting a police report can help you cover the property damage or injuries (if any). ​The police may inquire about injuries. Do not tell them you are not hurt because you really don't know that at this point. You don't want the police to refuse coming to the scene. ​Once they’re there, get the incident recorded for the police report. In some cases, the officers may only ask the driver about the incident. Don't let that happen. The police will come if the accident is major. For minor ones, make sure you involve police. Getting a police report can help you cover the property damage or injuries (if any). The police may inquire about injuries. Do not tell them you are not hurt because you really don't know that at this point. You don't want the police to refuse coming to the scene. Once they’re there, get the incident recorded for the police report. In some cases, the officers may only ask the driver about the incident. Don't let that happen. ​It's difficult to realize the overall extent of damages soon after the accident. Exchanging settlement cash or phone numbers is not a good idea. ​Get the driver's information including his/her phone number, address, and license plate number so they can be contacted later after the damage is actually calculated. 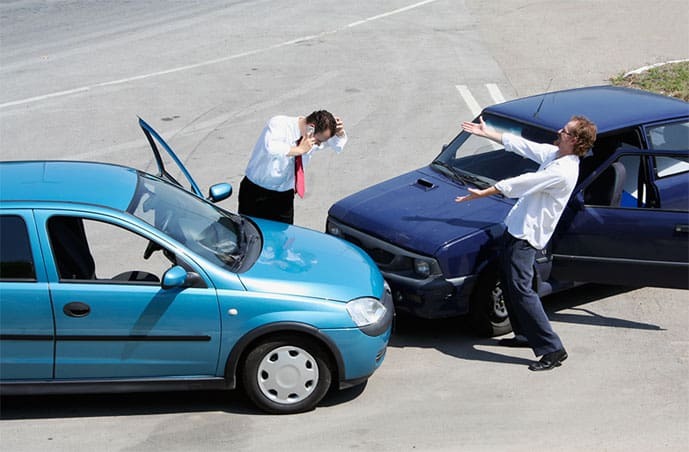 It's difficult to realize the overall extent of damages soon after the accident. Exchanging settlement cash or phone numbers is not a good idea. Get the driver's information including his/her phone number, address, and license plate number so they can be contacted later after the damage is actually calculated. ​If there are witnesses available, note down their details too. Ask for their names and phone numbers. Their statement as an eye-witness can be useful for you later. If there are witnesses available, note down their details too. Ask for their names and phone numbers. Their statement as an eye-witness can be useful for you later. ​If you can manage, take pictures of your damaged bike and/or your injuries after the crash. It's important to be mentally present after the shock of the accident to gather as much evidence as possible to make your case strong. ​Note the overall incident scene in detail, including the time, location, weather conditions, and traffic. Do not try to fix anything on your own if your bike is damaged. To find out the real cost of damage, take it to a mechanic for thorough inspection. ​Ask your mechanic to provide the damage report of your bike in writing. If it cannot be used until fully repaired, it should be mentioned in the report. If the owner of the vehicle is proved at fault, he should pay for your bike's damage. If it's too damaged and irreparable, they should offer you the current market value of your bike as compensation. If you can manage, take pictures of your damaged bike and/or your injuries after the crash. It's important to be mentally present after the shock of the accident to gather as much evidence as possible to make your case strong. Note the overall incident scene in detail, including the time, location, weather conditions, and traffic. Do not try to fix anything on your own if your bike is damaged. To find out the real cost of damage, take it to a mechanic for thorough inspection. Ask your mechanic to provide the damage report of your bike in writing. If it cannot be used until fully repaired, it should be mentioned in the report. If the owner of the vehicle is proved at fault, he should pay for your bike's damage. If it's too damaged and irreparable, they should offer you the current market value of your bike as compensation. ​Some injuries may not be visible immediately after the crash. Even internal injuries could take up to weeks to show symptoms. To avoid further damage, see your doctor as soon as possible. A proper physical checkup early will help you to detect injuries so you can consider the recommended medical treatment accordingly. Some injuries may not be visible immediately after the crash. Even internal injuries could take up to weeks to show symptoms. To avoid further damage, see your doctor as soon as possible. 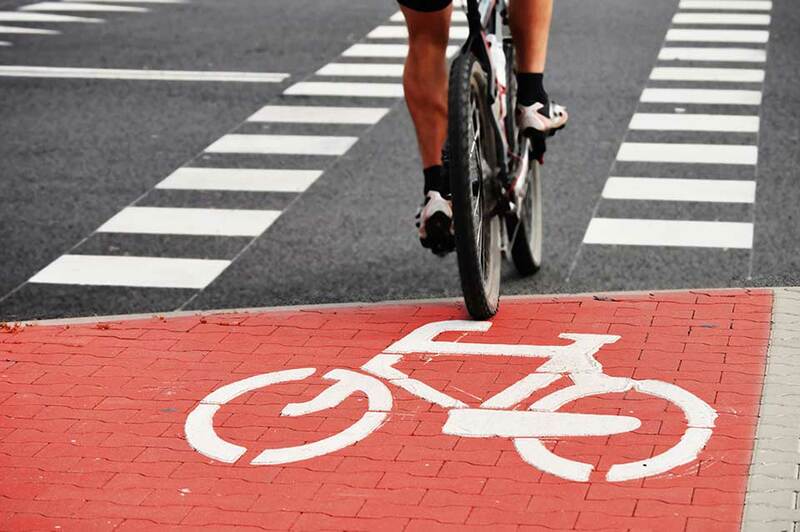 ​Now that you’re aware of the bike safety principles, you’re ready to ride. Don’t limit these guidelines to yourself only. Your friends deserve to be safe, too. Don’t wait. Spread the word and ride on! Now that you’re aware of the bike safety principles, you’re ready to ride. Don’t limit these guidelines to yourself only. Your friends deserve to be safe, too. Don’t wait. Spread the word and ride on! If hit by a car, truck, or any other vehicle, the accident could be a bad one and the only thing that can save you is an instant response. The following are six important steps to take if your bike gets into an accident. A car hits your bike from behind. 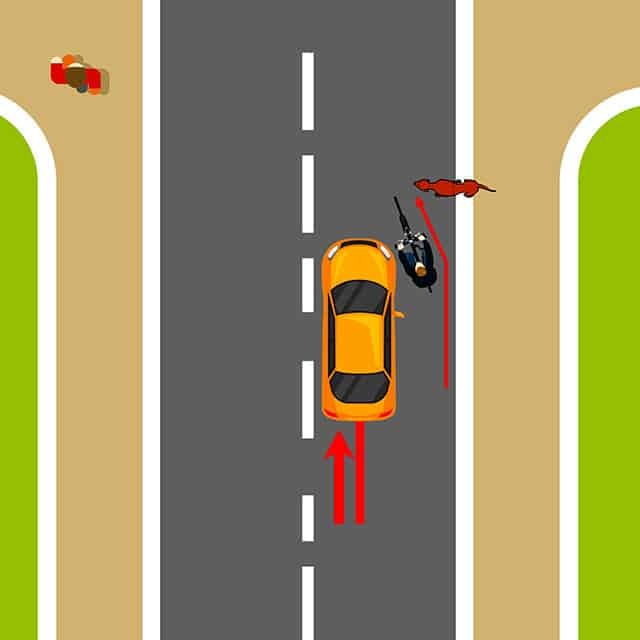 To avoid any road obstruction, you moved your bike a bit to the left but you get hit by the vehicle coming from behind. Don’t choose the sidewalk: When you want to cross a street and you ride on the sidewalk, you’re actually invisible to the vehicles who are in front of you. Therefore, avoid riding on the sidewalk. There is a slow-moving vehicle besides you. You’re naturally passing this vehicle, but suddenly, the same vehicle turns right to the side street and hits you. If the vehicle is a bit ahead of your bike and is too slow, you should slow down as well. Instead of passing on its right side, pass on the left after observing that it’s safe enough to take this step. A car overtakes you and then turns right in front of your bike. As you’re also riding in the same direction, the car immediately hits you. 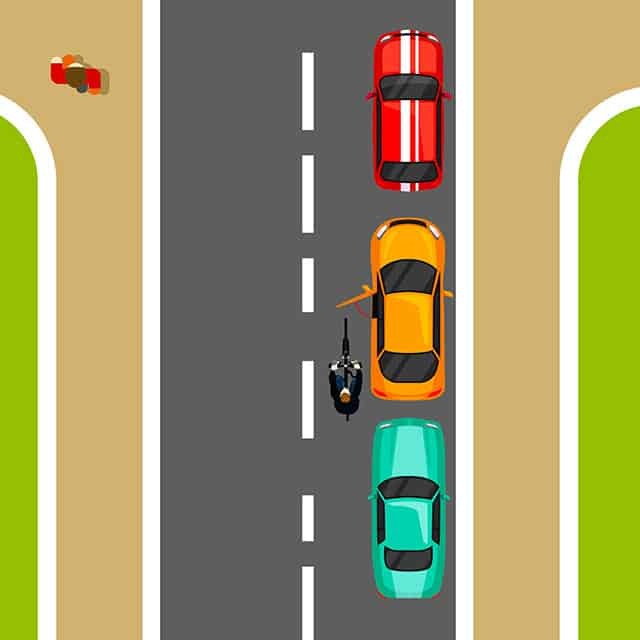 This collision may happen because the car driver may assume that you aren’t riding too fast and he thinks that he would go ahead of you safely. It’s harder to avoid this collision because you see the car coming in front of you in a second and there is no way to respond to this situation right at the moment. Glance in the handlebar mirror before considering an intersection: don’t have one? Get it now. Look into your mirror before heading towards an intersection. Once done, pay attention to the road ahead of you. Is any car taking a right turn and might come in front of you? As you see the red signal light, you stop. Another car is also waiting besides your bike. The car driver can’t see you because you’re at the blind spot. As the red light gets green, you naturally move forward. At the same time, the car driver turns right and directly hits you. This collision mostly happens when it’s a bus or any other large vehicle. However, also ensure that the second car (the car behind the first one) is also able to see you. Otherwise you’ll end up having the same collision (this time around, the second car would hit you if you’re behind the first car but still on the right side of the second car). This type of collision occurs when you’re riding either against the flow of traffic or on the left side of the road. As you ride, a car appears from the side street and naturally turns right and hits you. The car driver didn’t see your bike because he wasn’t expecting you as you were heading from the wrong way of traffic. In another scenario, choosing the wrong way may make you a victim of the cars coming to you from the straight road. This may happen because these car drivers had chosen high speed while driving on a straight road. Again, they were also not expecting you because your bike is moving towards them – and that too is unexpected. Besides using a front headlight and slowing down, eliminate the habit of crossing the road between sidewalks. Doing this while riding on the left may lead you to get hit. Likewise, riding on the sidewalk on the right will get you hit by the car that’s behind you and is taking a right turn. If the car is parked and the car driver opens the door, he has probably done this because he didn’t see you. The best bet is to ride proactively. Instead of riding too close to the car lane, ride a bit to the left so you’re confident that the car door will not hit you as it opens. You’re going on a straight road. At the same time, a car comes from the parking lot, driveway, or the side street on the right and hits you. You’re following the traffic laws. For instance, you’re riding on the right. But what if you fail to see a car that’s already on the extreme right? What will you do if the driver opens the door on the left (without seeing you) and unintentionally hits you? That’s when you should go beyond following the traffic laws: it’s time to go an extra mile and prepare yourself not to get hit at all. If you’re about to approach a roundabout or reach a corner, use the back brake. This will reduce your speed. After this, you can use the front brake when you want to stop immediately. Before using the brake, remember that the back brake is for lowering the speed and the front brake is for stopping immediately. If you see a clear junction, do not use your front brake. Just using the back brake will do the trick. However, if you see yourself in a tighter traffic where you need to stop the bike as soon as you can, use the front brake. earning single-handed riding will help you become an ace rider. Once you’ve successfully built confidence to ride with only one hand, you can easily use your other hand to grab a water bottle, eat a healthy snack, and signal while you’re on the road. You might think that the handlebars perform the steering of your bike. However, it’s actually your body that does the steering! To avoid clumsy and casual turns, it’s essential to learn how to use your body movements to do the steering. If you’re new to shifting gears, it’s wise to get familiarized with the gears beforehand. Head to an open road (without any vehicles to distract you). Practice shifting the front as well as the back gears. Get better at shifting gears by repeating the action several times. Most bikes have a number of gears. This helps you pedal consistently in all situations – whether you’re approaching uphill or aim to move to a straight road. While you’re riding between intersections, adjust your speed according to the traffic.